Want help searching for your ancestry? There are many ways that you can conduct a free family history search. Sometimes people will either start off spending no money or very little on this hobby. After you become acquainted with researching and building your family tree you may then decide to spend a little bit more money. And this is quite normal for genealogy, as well as other type of hobby or activity. The tips that I will show you here will help you to research your genealogy either for FREE or at very little expense. However, to get the most out of this hobby you will need to spend money at some stage. These costs will help to pay for materials, subscriptions and records. 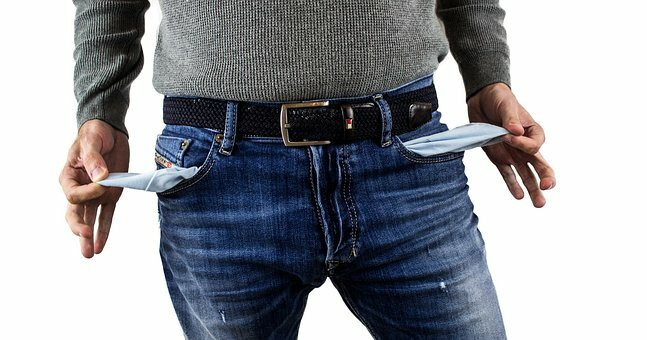 Free is good, but paying is better! If you do eventually put your hand in your pocket then you will be able to uncover the full story of your ancestors lives. But to begin your journey here are free options that you can use to start you on your way. You can begin your genealogy research by starting with yourself. Obviously this information is free as you will know many details. You will know when and where you were born, where you were raised, where you went to school, and so on. By putting this information down first you will have made a great start. From this initial starting point you can then expand and fill in what you know about your parents and grandparents. You may also wish to add siblings to your tree and their details as well. If you do not know some details then you can easily ask your relatives later on. I will cover this subject asking your relatives for information later on. Your home has a wealth of information that you may or may not know that you already have. The types of information that you may find may include certificates, wedding invitations, photographs, health records, etc. These could be hidden away in cupboards and drawers, or stored away up in the attic. My What Sources of Information At Home Can You Find? article will help you identify what sources of information that you may already have. You may also not be aware what sources of information that you do have that will be of use to you. This article will help you further your genealogy research. You can also ask your relatives if you can have or borrow these types of records. If they do want to keep the original then you can copy them if you have a photocopier, or transcribe the details onto paper. Your relatives will know a lot about your ancestors. It is therefore a good option to ask them what they know. Not only will your relatives have a wealth of information but it may not be recorded. So, it is a good idea to interview your relatives before it is too late and the information gets lost with time. This option is also FREE! Although you may want to take a cake or flowers as you do not really want to turn up empty handed and leave with so much. My Top 20 Family History Interview Questions article highlights what you need to consider before interviewing your relatives. Considerations to make before your visit! There are a number of things to consider before you interview. Firstly, how will you conduct the interview? Will it be by telephone, email, letter or best visit them. All of these methods do cost money but the amount of details that you will glean from them will be worthwhile. As I pointed out in the previous tip your relatives may have records that will be beneficial to you as well. Visiting your relatives is always better! If it is possible I feel paying your relative a visit is far better than a letter or a phone call. You will gain so much from this visit so it is only fair to spend some time with them. Also, during your visit they may feel more obliged to divulge more information to you. They may have also have conducted research on your family as well. You can then take this if they permit. This will obviously help you immensely as they have begun the fact finding process. You will have to check their sources first but then you can build on what they have already done. Libraries are also a good source of information for your family history research. If you are not already a member then you can join for free. Borrowing items from the library is also FREE! Depending on where you live though your local library may charge for taking out digital media such as DVDs and CDs. However, this charge should be quite nominal. Genealogy books and papers available to you! There is usually a local history category within your library. Here you can find out what the area was like for your ancestors. You may find out about the community and what type of employment was available as well. There will also be a genealogy category where you can learn how to carry out research. Genealogists may have also submitted their own family research to the library for the benefit of other researchers. By browsing through these you will get tips on how to conduct your research and how to lay out your findings. You may even be lucky and come across a relative’s own work which can be advantageous for you. One more resource that is available to you is the use of their computers. By logging onto the library’s computer you will have access to genealogy resources. Your local library should be subscribed to genealogy websites such as Ancestry and FindMyPast. These sites have millions of records for you to view and some of these records you can access for FREE! From these sites you can also view other members family trees. Here you may also be lucky and find a relative of yours on someone’s tree. You can get information such as dates, places, ancestors and siblings. You can benefit like me! I have benefited from all of these resources at a library I have benefited from. Another local resource that you can utilize is the local family history society. Joining such a society does involve a fee. However, you maybe able to ask them questions which you can get a response for FREE! Although I was not expecting this myself I did find out valuable information from a family history society at no cost. Obviously though if you want to find out a lot then it is best to pay to join. You may not have thought about asking for anything concerning genealogy but it is certainly worth thinking about. If you want to obtain a certificate, join a society, or subscribe to a magazine or website then you could ask friends and families. This could be a good idea if your birthday or Christmas is coming up. This will obviously save you the expense purchasing these yourself. Although you will have to buy them a present in return, whether it is for their birthday or Christmas. Only do this though if your relatives are accustomed to you telling them what you want for gifts. This is a good option but it will not take you far with your genealogy research as there is always plenty of certificates that you will need. Traveling to a grave yard will incur some expense through paying for petrol to get there. But the information that you can find out can be valuable to your research. If you know which church or chapel your ancestors were buried at then you can go and locate their graves. Graves will usually record the full name of the deceased, as well as when they died and also how old they were when they buried. This third piece of information is particularly useful if you do not know your ancestor’s birth date if you are not sure. Other useful information recorded on a grave could include the spouse and as well as if they had any children. These additional names can also be of use to you. And best of all this information is FREE! You may though want to bring some flowers and lay them on the grave as a mark of respect to your ancestor. Please check out my How To Find A Cemetery Grave post to get further information on what to do when you arrive at a cemetery. Using genealogy software is a great time saving way to build your family tree. You can you easily add names, dates and places. 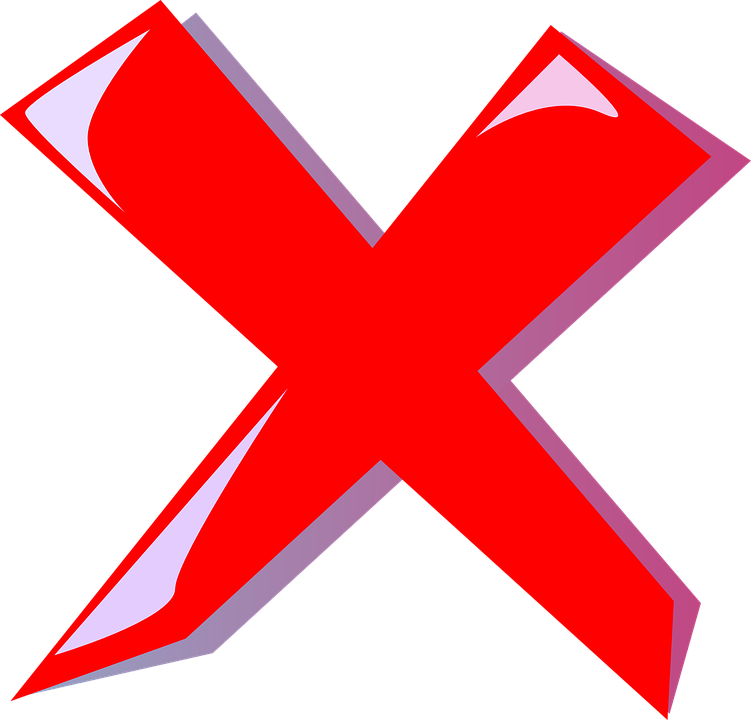 If you have made a mistake you can easily make corrections. This task is not so simple if you are hand drawing your family charts. You would expect to pay for genealogy software for your family history research. 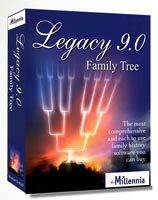 Legacy is currently the best program for genealogists to use on the market today. There is a standard edition which you can download and use for free. As this is a free version there will obviously be some features not available to you. These include the mapping, chronology and descendant view to name but a few. It is worth noting this option to you though as by using this program you can create and print out your charts. Take advantage of free genealogy websites too! Some genealogy search websites offer their information for FREE. One such site is FreeBMD which you can use to find your ancestors births, deaths and marriages. Please note that this is a UK service which grants free online access to the GRO Index. The GRO which stands for General Register Office and is a government department which holds these types of records. Once you are certain that you have found your ancestor’s record you can apply to the GRO with the details and purchase the certificate for a fee. Although this full process is not free I thought I would include it here. 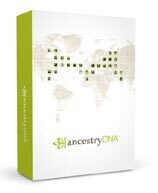 With this resource you can find out which region your ancestor died and in what year and quarter. Although if you purchase the certificate you will have definite proof that you have found the right person. And you will have access to further information that is included on the certificate! Another free site is FamilySearch which is the largest free genealogy search website online. It has over 3 billion names and millions of records within its database. Some useful information that it contains include old parish registers. I myself have benefited from this website. I have obtained these records and have been able to trace my family tree further back through this method. I hope you enjoyed this article about tips that you can use for a free family history search. If you have any questions or comments then please leave a comment below. Good point on talking to relatives. I was really surprised how much my grandparents told me although they were not willing actively share this information until I started asking all my questions. I’ve learned truly awesome stories by doing this! Yeah, talking to relatives is a great way to get informational about your relatives Andy. You make heard family stories from them, but you will be surprised as to how much more you can learn from them if you ask them questions. Also, what you learn from your older relatives may not have been recorded. So getting this information is invaluable. You’re quite welcome. When I first started genealogy I would return to my documents and see something I had not before. So returning to these sources of information is always good. Visiting the cemetery is also a good idea as you can get valuable information that, as long as you know where to look. Thanks for sharing this post about genealogy. I find this subject interesting, and I once started to explore my family and my ancestors, but I thought it was taken too much time, so I stopped. But maybe I will start some day again. I believe you have so many resources to find tips that you can use for a free family history search. I didn’t know that it was so many ways to search for our family history. Your article was quite detailed and informative. Thank you for enjoying my post Tove. Doing family history can be time consuming. You could try just to do a few hours a week. Even though it isn’t much it can add up and you can do quite a lot this way. Wow! Very Informative stuff. I didn’t know there were so many options available to go and search someones ancestry. I will definitely use some of this info to search for mine. Thanks for the detailed info! These are some of the main ways that you can research your family tree. I have tried to cover all the free ways that you can conduct your genealogy research. I always consider doing this when I see the commercials for the website that does this but I dont do it because somehow I doubted the validity to it. You lay out several logical options that anyone can follow. You can do some or all of these tips. Obviously to get the most out of this hobby you do need to spend money. I’ve always wanted to do a genealogy test. I’ve never been willing to pay so much money though. These are some great ideas and if someone is really willing to go to that extent they might find their results. Great website. It’s a good free way to introduce yourself to the world of genealogy. And when you feel more comfortable with this hobby then you can spend a little bit of money.